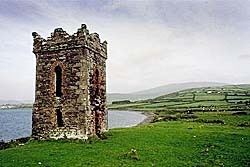 Ireland has a very distinctive history. It was an island untouched by the Roman legions, and Patrick, the Evangelist, brought to it the Gospel of grace. These facts are recorded in Patrick’s own testimony of faith. This authentic document is preserved in five manuscripts: one in the Book of Armagh of the seventh century, the second in the Cotton Library of the tenth century, a third in the French monastery of St. Vedastus, and two more in the Cathedral Library of Salisbury. This authenticated document is the main source of both the person and the mission of Patrick, and also his clear statement of the Gospel of grace. Patrick was a real, historical person born in 373 A.D. in Roman Britain. Thus, Patrick relies on Scripture to understand his experience and to see that it was the Lord Himself who was calling him. In his own words, “He who gave his life for you, He it is who speaks within you.” He understood that Christ Jesus, who had died for his sins, was the One who was calling him to work as an evangelist in the very island where he had been held captive. “I, Patrick, a sinner, unlearned, resident in Ireland”. Quite clearly, Patrick saw himself as a sinner. He did not look to some spark of life from within himself or to some ritual; rather, he looked unto Christ Jesus. Patricks words, “unspeakable glory of life everlasting which is in Christ Jesus our Lord” shows his distinct and personal comfort and courage in Christ. Totally unlike religion that looks to rituals, Patrick had his eyes set on the Lord. Catholicism now, and to some extent even in Patrick’s time, looks to sacraments as necessary for salvation. Patrick saw himself only as a sinner saved by grace in Christ Jesus. Patrick’s message is that salvation is totally in Christ alone—a message utterly diverse from that of Roman Catholicism, then and now. Patrick, the Christian Evangelist, being about 30 years old and together with some brothers in the Lord, set out for Ireland. He arrived in or about the year 405. This fact of history is authentic and verified. 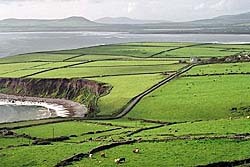 For example, Marcus, an Irish Bishop, who lived at the beginning of the ninth century, states that Patrick came to Ireland in the year 405 AD and Nennius, who lived about the same time, repeats the statement. This date is of great importance because many centuries later there was an attempt made to confuse Patrick with Palladius, who had been sent out by Pope Celestine as a missionary to Ireland. When news of Patrick’s Christian success had reached Rome, Pope Celestine then sent Palladius as a bishop to bring the churches under the control of the Papacy. It was in 432, at least 27 years after Patrick’s commission from God, that Palladius from Rome came on the scene. He wrote of baptizing many thousands of believers after they had professed faith. Over the course of 60 years, Patrick went the length and breadth of Ireland preaching the Gospel and, like Timothy and Titus before him, he ordained elders and established churches. It is reckoned that at the end of his days there were 365 churches across the island. These were established, as were the churches in Biblical times, with the people served by a pastor or elder. The authority of the pastor was one of service, rather than lording it over the people. It was like that which was established in the pages of Scripture. Likewise, the monasteries set up by Patrick, were totally unlike the monasteries that were established under the Church of Rome. These monasteries were quite like those of the Vaudois and other early Christian churches of northern Italy and southern France, whereby men came aside for some years to be trained in the Scriptures and to learn how to evangelize and to bring the Gospel to others. Later in their lives, these men married and had families. These men were not forsaking the world for some retreat of inner holiness; rather, they were men who saw light and life in Christ Jesus and wished to evangelize others with the true Gospel. Because of these monasteries and the churches that Patrick founded in Ireland, Ireland became known as the “Isle of Saints and Scholars”. 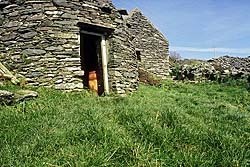 For more than six hundred years, Irish missionaries carried the Gospel with the same truthfulness as Patrick’s to Britain, Germany, France, Switzerland, Italy and beyond. Darkness covered Europe in the ninth and tenth centuries. The Dark Ages had begun and the Roman Church, having gained rulership through intrigue and persecution, now held most of Europe in her iron grip. 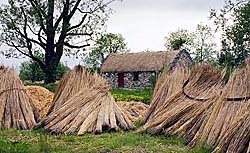 Even so, in those dark centuries, the Irish missionaries continued to spread the true Gospel, seed which for centuries to come would bear much good fruit all across Europe. 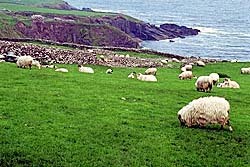 With the coming of the Danes in the ninth century, however, the Celtic Church in Ireland began to loose its Biblical clarity. King Henry carried out the designs of the Papacy in 1171 and with a strong military force subdued the whole Irish nation. He received from every Archbishop and Bishop, at the Synod of Cashel in 1172 charters whereby they confirmed the Kingdom of Ireland to him and his heirs. The King sent a transcript of these charters to Pope Alexander III, who, according to the letters of the Archbishops and Bishops, was extremely gratified by the extension of his dominion, and in 1172 issued a bull confirming the Papal decree of Pope Adrian. Further rulings were sent from Rome to Henry II and to the princes and nobles of Ireland, and to the bishops of Ireland to establish the hierarchy over the people and pastors and enjoin obedience of both Ireland and England to the Papal throne. These words of Patrick are as a prophetic trumpet of the Lord. It is most serious to steal the legacy from the people of the nation, particularly when that heritage was life and light in Christ Jesus! To publish abroad the Gospel of God’s chosen in Christ “before the foundation of the world” is our longing now, as it was Patrick’s then. The wonder of Patrick’s life was simply God’s grace in Christ Jesus. The divine call to the true Gospel went forth from Ireland for more than 600 years. As Christ Jesus’ Gospel stands, so also is His call on your life. Then you will stand where before you Patrick stood immoveable, and this is how it will be for all eternity.